Trivento is a dynamic software company that creates enterprise software solutions. A flat organization where interaction, collaboration and quality are keywords in their daily work routine. 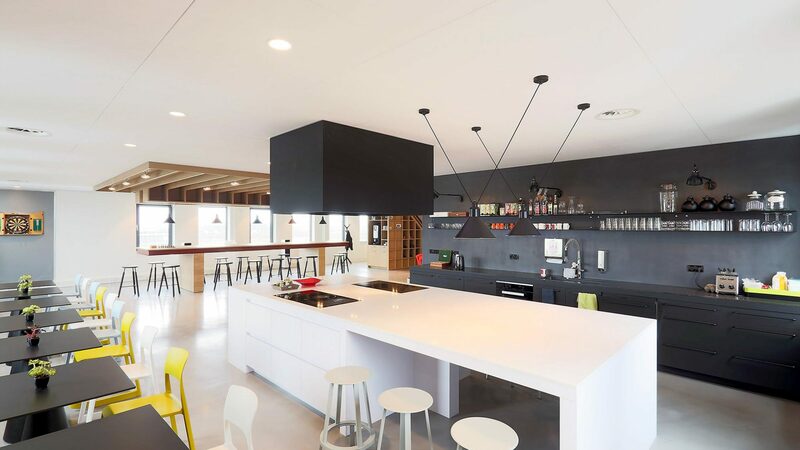 Their new office consisted out of 2 floors, each around 620 m2. The original routing in the building didn’t match the company’s structure. In order to create connection and interaction we’ve created a central void. All facilities that require collaboration are based around this void. An atrium, informal meeting spaces, the bar and the reception. The workspaces are light and spacious, creating comfortable working spaces that can provide the foreseeing growth. In collaboration with Casper Schwarz architects.